Private members clubs have long since shed their stuffy image of gentlemen's drawing rooms and dark smoke-filled chambers. Sophisticated and illustrious, private clubs are now places where you can network as hard as you party thank to carefully tailored facilities with a specific clientele or industry in mind. They provide the perfect spot for a morning meeting, an ideal place to work away from home or just somewhere to relax with a cocktail in hand. So if you are looking for a base in the city that’s as luxurious as the deck of your superyacht then here is our pick of the private members clubs definitely worth joining. 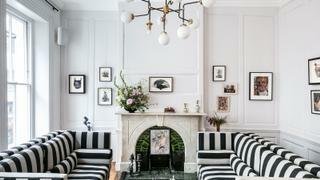 The AllBright The lowdown: Having opened the doors to its first club in Fitzrovia, London, in March 2018, women-only member's club The AllBright is now expanding tis empire with new sites in Mayfair (opening May 2019) and west Hollywood, La (opening summer 2019). Named after the former US Secretary of State Madeline Albright, the club was founded to give professional women a space to work, connect and collaborate while creating a supportive network of like-minded woman and nurturing both their own and other's talent. Along with all the usual amenities of a modern members club, including restaurants bars, a salon, fitness centre, wellness facilities, work areas, event spaces and lounges, The AllBright also offers an in-house careers coach and free online courses for women in business through the AllBright Academy. Alongside this, the club runs a varied programme of social and business-focused vents including movie screenings, comedy nights, lectures, panel discussions and workshops planned around female-centric issues. How to join: Membership to The AllBright costs £1,150 per year plus a £300 registration fee, special rates are available for the under 30s. Member should be professional women at any stage of their career but must be approved by The AllBright. Visit theallbrightcollective.com. Private members clubs have long since shed their stuffy image of gentlemen's drawing rooms and dark smoke-filled chambers. Sophisticated and illustrious, private clubs are now places where you can network as hard as you party thank to carefully tailored facilities with a specific clientele or industry in mind. They provide the perfect spot for a morning meeting, an ideal place to work away from home or just somewhere to relax with a cocktail in hand. So if you are looking for a base in the city that’s as luxurious as the deck of your superyacht then here is our pick of the private members clubs definitely worth joining. 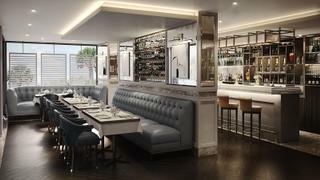 The lowdown: Having opened the doors to its first club in Fitzrovia, London, in March 2018, women-only member's club The AllBright is now expanding tis empire with new sites in Mayfair (opening May 2019) and west Hollywood, La (opening summer 2019). Named after the former US Secretary of State Madeline Albright, the club was founded to give professional women a space to work, connect and collaborate while creating a supportive network of like-minded woman and nurturing both their own and other's talent. Along with all the usual amenities of a modern members club, including restaurants bars, a salon, fitness centre, wellness facilities, work areas, event spaces and lounges, The AllBright also offers an in-house careers coach and free online courses for women in business through the AllBright Academy. Alongside this, the club runs a varied programme of social and business-focused vents including movie screenings, comedy nights, lectures, panel discussions and workshops planned around female-centric issues. How to join: Membership to The AllBright costs £1,150 per year plus a £300 registration fee, special rates are available for the under 30s. Member should be professional women at any stage of their career but must be approved by The AllBright. Visit theallbrightcollective.com. The lowdown: Ten Trinity Square seamlessly combines 2,000 years of London heritage with the city’s modern ideals. The club’s residence has long held a certain level of prestige – prior to the Great Fire of London, the building was the Navy Office where Samuel Pepys worked, and in 1922 was opened by Prime Minister David Lloyd George as the headquarters of the Port of London Authority. Nestled in the heart of the cosmopolitan city of London, the club now focuses on creating a space for professionals from across the world. International networking is therefore the ethos here, with the club striving to marry business and culture within its elegant, walnut-panelled venue. Indoors, the cigar lounge, billiards room and dining and bar areas are designed to create a relaxed and connective atmosphere. 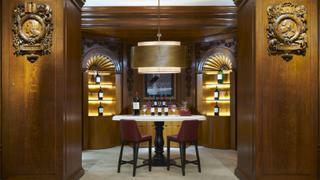 The highlight is the extensive wine store, which hosts the UK’s largest collection of Château Latour wines, which can be sampled at one of the club’s many tasting dinners. The Ten Trinity Square property is also home to the Four Seasons Hotel and its 41 private residences, restaurants and spa, with the club located on the second floor and accessed via a separate entrance. The club is passionate about introducing its members to different cultures and facilitating a hub of international exposure and understanding. Members are all high achievers in their fields, which range from business and politics to academia and arts. 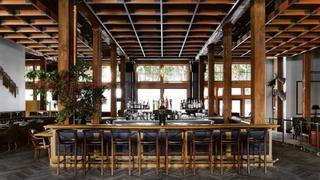 Though its setting may be antique, Ten Trinity Square is an institution that caters to metropolitan desires. How to join: Membership to Ten Trinity Square costs £3,000 annually with an initial joining fee of £5,000, anyone wishing to join requires an endorsement from one of the club's founding members. Visit tentrinitysquare.com. The lowdown: Ten Trinity Square seamlessly combines 2,000 years of London heritage with the city’s modern ideals. The club’s residence has long held a certain level of prestige – prior to the Great Fire of London, the building was the Navy Office where Samuel Pepys worked, and in 1922 was opened by Prime Minister David Lloyd George as the headquarters of the Port of London Authority. Nestled in the heart of the cosmopolitan city of London, the club now focuses on creating a space for professionals from across the world. International networking is therefore the ethos here, with the club striving to marry business and culture within its elegant, walnut-panelled venue. Indoors, the cigar lounge, billiards room and dining and bar areas are designed to create a relaxed and connective atmosphere. The highlight is the extensive wine store, which hosts the UK’s largest collection of Château Latour wines, which can be sampled at one of the club’s many tasting dinners. The Ten Trinity Square property is also home to the Four Seasons Hotel and its 41 private residences, restaurants and spa, with the club located on the second floor and accessed via a separate entrance. The club is passionate about introducing its members to different cultures and facilitating a hub of international exposure and understanding. Members are all high achievers in their fields, which range from business and politics to academia and arts. Though its setting may be antique, Ten Trinity Square is an institution that caters to metropolitan desires. How to join: Membership to Ten Trinity Square costs £3,000 annually with an initial joining fee of £5,000, anyone wishing to join requires an endorsement from one of the club's founding members. Visit tentrinitysquare.com. The lowdown: There’s nothing quite like staying on board your own yacht but, if it’s berthed in the South of France and you’re heading to New York for business or fancy a holiday in Thailand, it’s not always the most practical option. Gilt Global, a private members club for owners of elite ‘assets’, is offering the perfect solution. For an annual fee members are able to swap stays at their high-end residences, homes and yachts granting access to some of the world’s finest private properties. If you're looking for the perfect mountain retreat for the ski season then how about Chalet Jackson in Megève (pictured) or why not consider the lavish 24-bedroom Kinross House near Edinburgh, Scotland for the most opulent of New Year's Eve parties? Other options currently include a private island in the Maldives, a palatial French château and an exquisite hilltop villa in Mallorca. How to join: Members must either own their own luxury residence, yacht or similar - which will be assessed for suitability by Gilt Global - or must be recommended by a current member. The annual fee for owner members is £5,000 and £1,000 for guest members. Visit giltglobal.com. The lowdown: There’s nothing quite like staying on board your own yacht but, if it’s berthed in the South of France and you’re heading to New York for business or fancy a holiday in Thailand, it’s not always the most practical option. Gilt Global, a private members club for owners of elite ‘assets’, is offering the perfect solution. For an annual fee members are able to swap stays at their high-end residences, homes and yachts granting access to some of the world’s finest private properties. 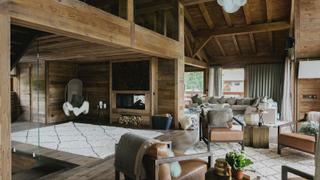 If you're looking for the perfect mountain retreat for the ski season then how about Chalet Jackson in Megève (pictured) or why not consider the lavish 24-bedroom Kinross House near Edinburgh, Scotland for the most opulent of New Year's Eve parties? Other options currently include a private island in the Maldives, a palatial French château and an exquisite hilltop villa in Mallorca. How to join: Members must either own their own luxury residence, yacht or similar - which will be assessed for suitability by Gilt Global - or must be recommended by a current member. The annual fee for owner members is £5,000 and £1,000 for guest members. Visit giltglobal.com. The lowdown: Located in the heart of mid-town Manhattan, Core Club breaks away from stuffy old-school notion of a gentlemen’s only social club and taps into a more modern concept with emphasis on progress and innovation. The club provides an oasis from the hectic New York lifestyle and it’s all about taking time to appreciate culture. Members can engage with the latest art exhibitions, watch concerts and hear stimulating talks from leading innovators from a wide range of industries. The club also has its own private theatre where members can organise performances and stars including Anne Hathaway, George Clooney and Kevin Spacey have all hosted screenings here. Alongside these enriching experiences, members also have access to exclusive services offered by Core’s lifestyle partners, including Wheels Up, Barton & Gray Mariners Club and a number of reciprocal clubs such as The Arts Club, The Quorom, 1880 and Home House. On-site, Core offers a concierge, event spaces, meeting rooms, a fine dining restaurant, a well-stocked library, plus a gym, salon and spa. The lowdown: No drinking dens or cigar smoke salons here - Thirty Nine is more like a boot camp than a private club. This wellness focused venture, situated on Monaco’s iconic Avenue Princesse Grace, is the brainchild of international rugby player Ross Beattie and is designed to create an environment that combines fitness with luxury. The club offers a number of state of the art facilities that can help members reach their full physical potential. Alongside the world-class Technogym equipment, there is also a pro-cycling team spin room, hypoxic chamber for altitude training and personal training sessions with top athletes. If you are more interested in the holistic side of wellbeing the club also has spa facilities and a private Pilates room. Whilst the focus may be on fitness, Thirty Nine balances this active lifestyle with high-end relaxation, offering a number of bespoke services to its members. The gym facilities may take centre stage but the club also features a casual lounge space, a private restaurant and two outdoor terraces, perfect for winding down after a hard workout or just putting your feet up after an exhausting day exploring Monaco’s best boutiques. The lowdown: Very much in keeping with San Francisco’s laid-back attitude, technology and business talk should be left at the door of The Battery. 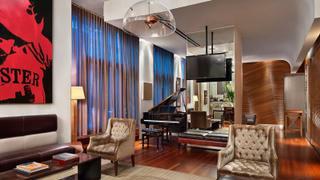 Located in the financial district, just moments from the Embarcadero piers, this members club is the perfect meeting place for indulging in a little city buzz away from your superyacht. The Musto Bar is the highlight of the club; an intimate spot that resembles a cosy library with dark wood panelled walls and low lighting. There is also a garden bar where you can while away balmy nights with a drink on the monochrome tiled patio while members are also privy to a host of fringe benefits including priority access to Broadway theatre tickets, art exhibitions and special events. Non-members can stay in the boutique hotel that sits above the club and a night here is a must if you charter a luxury yacht around the Bay. If you are part of a larger group the Penthouse is perfect for entertaining and has stunning views over the Bay Bridge.